This is another quick one and for most of it, I just did the Update Manager PowerCLI part as the rest is almost exactly the same as the VCAP4 objective. I think this is all about playing around in your lab again, breaking things, upgrading hosts, patching hosts and using the PowerCLI commands. Now on to my favourite objective and the one I think is the number one thing the DCA is based on, Troubleshooting. Categories: Certifications, VCAP, Virtualisation | Tags: PowerCLI, Update Manager, VCAP, VCAP5, VCAP5 Blueprint, VCAP5-DCA | Permalink. As I did with Day 1, for day 2 I also got in around half seven to be able to get into the labs as they opened. It seems that loads of other people had the exact same idea though as by half eight there was a waiting queue in the waiting area of over 50 people and loads more in the line outside. My first lab was all about deploying Nexus 1000V via Distributed Switches and was really really good and is one I would highly recommend. After I finished the lab, I walked straight back in and got myself on “Optimising Your Network Structure and Consolidating Network Management”. The lab mainly went through deploying standard virtual switch networking, then creating, and migrating it to distributed switching whilst keeping the hosts up and running as well as the virtual machines. I had learnt loads of this for my VCAP but it was really good practice in preparation for my retry of my VCAP-DCA. Maurizio Carli (Senior Vice President and General Manager for EMEA ) keynote is now available here and Raghu Raghuram, (Senior VP and General Manager of Cloud Platforms for VMware) from Tuesdays morning session is up also. After having some lunch I attended the session “Design, Deploy and Optimise SharePoint 2010 on vSphere”. The session was highly interesting as we do a number of SharePoint 2010 deployments on VMware at present and it was good to see and hear what they experienced and the best practices for it. Once the sessions go up on the VMworld, website i would recommend watching this one and going through the slidedeck before doing a SharePoint 2010 implementation in your own environment. The VMworld TV summary of Day 2 has also gone up and covers all the news and even a super hero guest appearance. After the session I wandered around the solutions exchange chatting to a few people and also chatted to a number of the guys I know operating the EMC booth and even got one of the guys a good contact for some work for EMC. The day slowly quieted down from here, as a number of people seemed to have left to go change and get ready for the VMworld Party. The party was help at the Carlsberg Museum in downtown Copenhagen and was set out in an eighties retro style of Blade runner meets Tron styling. The evening was a great one personally, as it let me meet even more of the top bloggers and VMware experts like the infamous Dave Hill and Chris Colotti of vCloud Director Fame to name but two.The night was a real success even though there was no big band like the US. Categories: Virtualisation | Tags: PowerCLI, VMworld, VMworld 2011 | Permalink. Well that’s VMworld coming to an end. It seems to have gone by so quickly but it also means that now we can start talking about VMworld in Copenhagen and I don’t have to keep hearing about the killers playing the VMworld closing party (I’m not jealous at all ) . Day 3 is normally the day where everyone hits the solutions exchange, the sessions and the hands on labs. For me day 3 is great for all the videos that are put out as now they can show us all the new products and announcements mentioned in the keynote by Steve Herrod on VMworldTV and even an interviews with Steve himself detailing all the announcements he made. Next is the VMworldTV video all about Project Octopus. As I said in my Day 2 posting I think this is the best announcement so far and will be changing a lot of peoples way of working in the near future. Next is an interview with Scott Davis, VMware’s CTO of end user computing and is all about AppBlast with a really awesome demo of it too! I’m really looking forward to this technology being released. 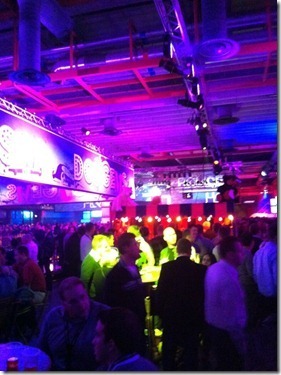 Last but not least is the Day summaries of the Past three days at VMworld. As mentioned in my Day 2 posting these are a great way to find out what’s been announced and is happening if you don’t have a lot of time to read up on what’s come out. Well that’s everything for Day 3 of VMworld US 2011. Categories: Virtualisation | Tags: Horizon Mobile, Kendrick, LonVMUG, PowerCLI, Project AppBlast, Project Horizon, Project Octopus, VMware, VMworld 2011 | Permalink. I have been slacking on my All Things Virtual postings for the past few months due partly to me just being a bit lazy if I’m honest and due to my focusing a lot of my spare time after work on my EMC and VMware studies(blogs forthcoming). Due to the rate of new blogs coming out and things changing so fast, a large portion of the blogs I had on my list of things to read and thereby be in line to be included in this posting have now become obsolete/old news so my list was culled and is now a current as is possible. Next is the announcement of the soon to be released and much anticipated PowerCLIBook by industry experts Luc Dekens,Alan Renouf,Arnim van Lieshout, Glenn Sizemore and Jonathan Medd. For anyone remotely using PowerCLI they will know these guys are some of the best if not the best in the industry when it comes to PowerCLI and so this book is being tipped as the perfect book to use to teach yourself everything you need to know about using PowerCLI in the VCAP-DCA exam and to obviously help you build up your knowledge before the release of vSphere 5(or whatever it may be named). I’ve already pre-ordered my copy and will be using this book cover to cover before my VCAP-DCA exam and to teach myself PowerCLI. Eric Horschman has done a brilliant posting on the VMware Blog pages all about Hypervisor Memory Management Done Right which is brilliantly written and a perfect reference article for memory management and how it all works and what the kinds of impacts mismanagement can cause in your virtual environment. I’m still slowly reading through it myself and trying to apply some of the best practices into my own environments.This posting is a MUST read for anyone looking after a VMware environment or looking to build one. As I said at the start of this posting I’m busy doing some EMC studies and to not get into specifics seeing as I’m a bit superstitious and I’d like to save it for my planned blog posting one of the reasons for doing it is to hopefully prepare myself for the recently released EMC Cloud Architect certification. Chuck Hollis from EMC posted this past week an update for the certification detailing that the courses are now in full production and has linked to a few testimonials of people who have already attended some of the courses. The courses look really good and even if you feel cloud is just a buzz word at the moment I’d still encourage you to have a look at the certifications and Chucks blog postings about them before writing them off. Scott Drummonds posted a twitter message this week asking for help finding whitepapers on the subject of VMware environments networking best practices. True to form the community responded and Scott has blogged about all the resources he was pointed to. It’s a great resource for all the VMware networking “best practices” and will prove to be a time saver for anyone needing to source this information for VMware builds. I’ve added it to my “VMware Design Best Practices” bookmarks already. Last but not least is a blog posting by the infamous Duncan Epping of Yellow-Bricks.com fame all about managing the availability of your environment through vCentre alarms. 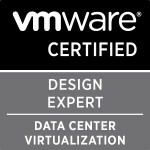 I blogged a while back all about a document created by Horst Mundt a Technical Account Manager at VMware Germany on the VIOPS.VMware.com site detailing all the alarms and what they do in vCentre 4 and vCentre 4.1. Both are a definite must read especially if you aren’t currently using custom alarms in your environment. My favourite one at the moment is an alarm to alert you when snapshots get over a certain size which has saved me loads of headaches. There’s a great VMware KB article all about how to set this alarm up and even includes a very helpful video if you’ve never done custom alarms before. Categories: Virtualisation | Tags: alarms, EMC, EMC Cloud Architect, hypervisor memory management, PowerCLI, VCAP, VCAP-DCA, VCAP-DCD, VMware, VMware networking, VMworld, VMworld 2011 | Permalink. There have been some brilliant blog postings since my last All Things Virtual,the release of some great news for android phones and a book written by two of the top VMware professionals in the world. If this is the first time you are reading one of my All Things Virtual then the idea of the posting is a quick post up of all the things virtual and linked to virtual that I have been doing/working with/learning/reading up on in the past few weeks. Frank Denneman of frankdenneman.nl fame and Duncan Epping of Yellow-Bricks.com fame have written and released the vSphere 4.1 HA and DRS technical deepdive book. These two guys are probably the two best people in the fields of DRS and HA with Duncan having the very successful and extremely in-depth HA Deepdive and DRS Deepdive postings on his blog as well Frank having some of the best postings on DRS on his blog. I have ordered the book already and am awaiting its arrival. Both Duncan and Frank have already covered what is in the book in such detail that I feel it’s pointless to rehash what they have already said so here is Duncan and Franks postings about the book. I look forward to reading through the whole book when it arrives and strengthening my knowledge on the two technologies. As I’ve said a few times before I enjoy testing myself by trying to obtain certain certifications, not to be a certification collector but to set goals to try to continually push myself and strengthen my knowledge and not sit still. So the release of the new certifications by EMC really caught my attention as I’m currently trying to strengthen my knowledge on storage technologies and practices by doing the ISM(Information Storage and Management) course. One of the perks of working for EMC is I’m able to do the course as a e-learning course for free and with the release of the new EMC Cloud Architect certifications the first step is obtaining your Information Storage and Management Associate (EMCISA) certification which fits in perfectly to my study goals for 2011. To make sure I don’t explain it incorrectly I would recommend reading Chuck Hollis’ blog where he has detailed the new certifications. Speaking of certifications I’m really pleased by the amount of traffic my VCAP-DCA&DCD Study Resources Page and my VCP Study Resources Part 1 and Part 2 pages are receiving. Thanks to everyone who has linked to it/tweeted about it . One of the main resources listed in my VCAP-DCA study resources is Sean Crookston’s VCAP-DCA Index. Sean has now written the exam and has posted a brilliant write up on his impressions of the exam here. Rynardt Spies has also recently written the exam and posted his impressions here. I’ve decided to try sit the exam by March/April next year as I’m not likely to be ready before I go on holiday next year and have learnt from experience that writing an exam just before I go on holiday isn’t a good idea. Next is one of my blog postings of the year due to its depth of information and brilliant supporting links and documents to cover his claim. It’s a blog by Julian Wood (@Julian_wood) all about how he feels vCenter is letting VMware’s side down. I would highly recommend everyone read it as it is both amusingly true to anyone looking after a virtual environment and covers many of the obstacles you may hit in the future with your own virtual centre server so you can be as prepared as possible if you are implementing any of the technologies. I agree with what Julian is saying and do think VMware need to make a plan with virtual centre as there are far too many bugs and problems still with virtual centre and for something that is so integral to the smooth working of your virtual environment it really needs to be as solid and reliable as possible. With the release of PowerCLi 4.1 it is now possible to manage permissions with PowerCLI. The VMware blogs have covered all the new capabilities and how to do them here. I’m busy trying to teach myself PowerCLI by trying to do as much of my daily work with PowerCLI and VMA due to a large part of the VCAP-DCA exam being based on you knowing how to do things via these tools. Seeing as I’m a point and click person these are skills I need to learn very quickly and be able to do it as second nature. One of the new features of vSphere 4.1 is VAAI (vStorage API’s for Array Integration). Recently both Duncan Epping and Eric Sloof have posted brilliant information on this feature and in Eric’s case have attached a video detailing how it all works. These are great for anyone who is working with VMware technologies and is likely to be either using vSphere 4.1 or will be upgrading to vSphere 4.1. One of the biggest technologies to come out in virtualisation this year is VMware’s vCloud Director. It was the lab that was taken the most at VMworld Europe and everyone is trying to learn about it seeing as it is VMware’s product to help you move your resources into the cloud. I too did all the vCloud Director labs at VMworld Europe and have been collecting as many top postings about vCloud Director as possible so I can fully understand it so when I’m asked to implement it I’ll know how. Two blog postings have been added to this list from the past few weeks; one is from David Davis of Trainsignal fame interviewing the infamous Scott Lowe and was posted on the VMware blogs page interviewing Scott on Cloud Computing and vCloud Director. This posting really got my attention as it was really interesting to me to learn more about how the technologies from EMC and the VCE are perfect to help you move as smoothly as possible to the cloud, especially seeing as I work at EMC so I really should know about all of this . Next is an amazing demo by Duncan Epping that he created for the Dutch VMUG all about vCloud Director, creation of an Organization and its resources this demo is exactly what I love to watch and learn from as I’ve only recently been able to install vCloud Director in my home lab so it’s great to see how it’s all done and seeing as vCloud Director is such an in-depth and complex product any resources to shed some light on different things about how things are done within it are greatly appreciated by myself. I know I said two but if you missed me mentioning this in one of my previous postings and want to learn more about vCloud Director then look at the resources Scott mentioned in his interview and have a look at Hany Michael of Hypervizor.com fame’s vCloud Director page. Hany also has great video on vCloud director and his posting on VMware vCloud Director in a Box is what I used to setup my lab environment. Next is the announcement of the Partnership between VMware and LG to virtualise android smartphones for usage by business users. Mobile virtualisation has been spoken about for quite a while but this next step is very exciting and as one of my colleagues Jaspal Dhalliwal posted that Virtualization is Coming of Age now and means VMware is going from servicing a few hundred thousand people to tens of millions of people via their smartphone devices. Simon Long also posted about this announcement on his page and has posted a very cool video of it. I’m not a massive phone person to be honest, I don’t have a smartphone or an iPhone but watching tat video is really making me think of getting myself one very soon. Last but not least is the announcement by Veeam that they are giving away free NFR keys to VCPs, VCIs and vExperts. This is a brilliant idea and it shows that Veeam know who their dedicated followers are and who is likely to give them great press about the products and help them gain even more popularity. I’ve already downloaded mine and am due to install it into my lab environment very soon. If you’re a VCP/VCI or vExpert then get yourself a copy before they stop the deal. Well that’s everything that has been on my to read list and all the news that has caught my interest. Categories: Virtualisation | Tags: android, DRS, EMC, EMCISA, HA, PowerCLI, PowerCLI 4.1, smartphones, VCAP, VCAP-DCA, VCAP-DCD, vCentre, vCloud Director, VCP, Veeam, virtualization | Permalink. Day two started off early as I decided to not hit the massive parties so that I could get into the labs as they opened at 8am. The Bella centre was empty and I was one of five people in the labs at opening time. I went to the VMware vSphere PowerCLI lab and got a really good foundation of PowerCLI commandlets and it was a great starters lab for a point and click person like myself. I then made my way around the solutions centre and spoke to Alan Renouf about the lab and all other general things and got a great picture of him at the booth.I then hung out with a number of the top bloggers at the bloggers lounge and got to meet John Arrasjid (@vcdx001),Bas Raayman (@BasRaayman), the vNinja Christian Mohn (@hobbel) ,Steve Bruck (@vColossus) and the Chad Sakac (@sakacc). I then attended the Project Horizon session which was really informative and the concepts covered were really exciting but obviously due to it being in development still the talk wasn’t vastly different from what was covered in the keynote yesterday morning. I’m hoping to get myself some more hands on experience of the product once it is available as the the product does look to be one that is going to become massive with all it’s features and the push of people to be able to do their work through iPads,iPhones and Android devices. From there I made my way to a VMware vSphere Troubleshooting lab which was highly informative and the best lab I had done yet as it was great to test my own troubleshooting skills and learn a few new ones/perfect them. It was also very refreshing to work on an environment that was broken yet not mine as then the obvious pressure you normally have wasn’t there 🙂 The lab was also a great introduction to the official course being run and I’m looking forward to doing the course and learning all of it. From here I had to catch up with some office work and then made my to the VMware Party. The party was really impressive with great food, loads of drinks, some crazy performers from circus performers to break dancers and then the bands Bjorn Again (an ABBA tribute band) and MADHEN (the house band). ABBA had broken up before I was even born so I enjoyed playing table football (foosball) against some VMware employees more than the bands but I do have to say the crowd was absolutely loving them and my wife and parents would have been front row of the performance. Due to my wanting to get into the labs at opening time again I left around half eleven. The second day was really great as I got a good amount of time with fellow bloggers for some knowledge transfer,the sessions to learn the new products and features and the labs to be able to play around and gets some hands on experience of the new products and strengthen my knowledge on technologies I have been using for a while. Categories: Virtualisation | Tags: PowerCLI, Trainsignal, VMware, VMware Pro Series Training Vol1, VMworld, VMworld 2010, VMworld copenhagen | Permalink.